A nanosatellite designed and built in South Africa will be launched early next year from the International Space Station as part of a European Commission research project. Managed by SCS Aerospace Group, South Africa’s biggest private satellite concern it will be launched from the space station during the first quarter of next year together with 40 satellites from other countries as part of the European Commission’s QB50 project. These satellites are to conduct atmospheric research in the lower thermosphere between 200km to 380km altitude. The data collected from this experiment over a period of 18 months will be used to complement current atmospheric models used by operators in the space industry. “We are proud not only to be part of the QB50 project, but especially of the fact that it presents the opportunity to showcase South Africa’s ability in the space industry. Almost all the systems and components on this satellite were manufactured and assembled within six months with South African partners,” says Dr. Sias Mostert, Chairman of the SCS Aerospace Group. “Although one of our subsidiary companies SCS Space is the prime contractor for the satellite, it offers a platform for showcasing the space technology abilities of all the other SA stakeholders who made this project possible. Participants in the project are the Space Advisory Company, Stellenbosch University, CubeSpace, Cape Peninsula University of Technology, Nelson Mandela Metropolitan University, Pinkmatter Solutions, the Amateur Radio Society and NewSpace Systems,” says Dr. Mostert. Apart from conducting the European Commission’s lower thermosphere experiments the nanosatellite called nSight1 and weighing some 2.5 kg will during its 6 to 18 months’ flight also test the company’s newly developed SCS Gecko Imager as well as Nelson Mandela Metropolitan University’s patented ‘Radiation Mitigation VHDL Coding Technique’. 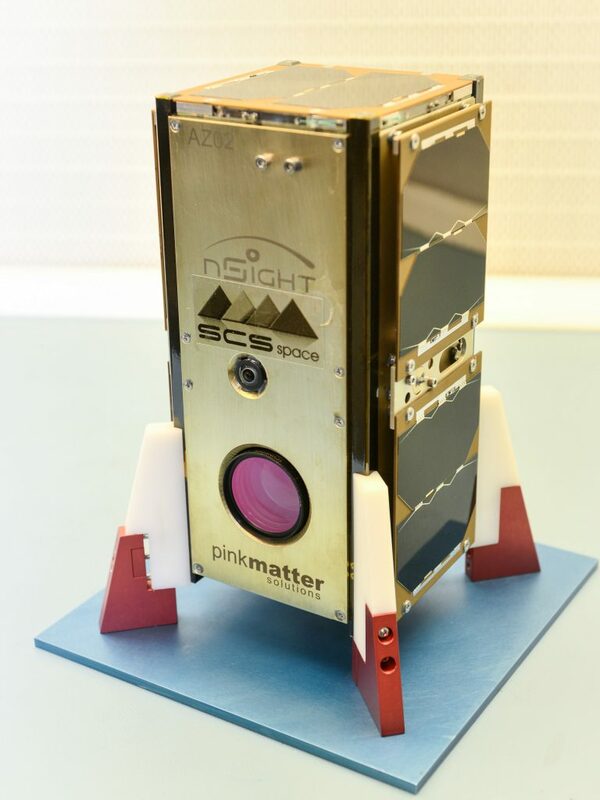 “The mission is a joint investment by SCS Aerospace Group and Pinkmatter Solutions and forms part of a line of satellites to establish space heritage for a new generation of high performance remote sensing cameras. 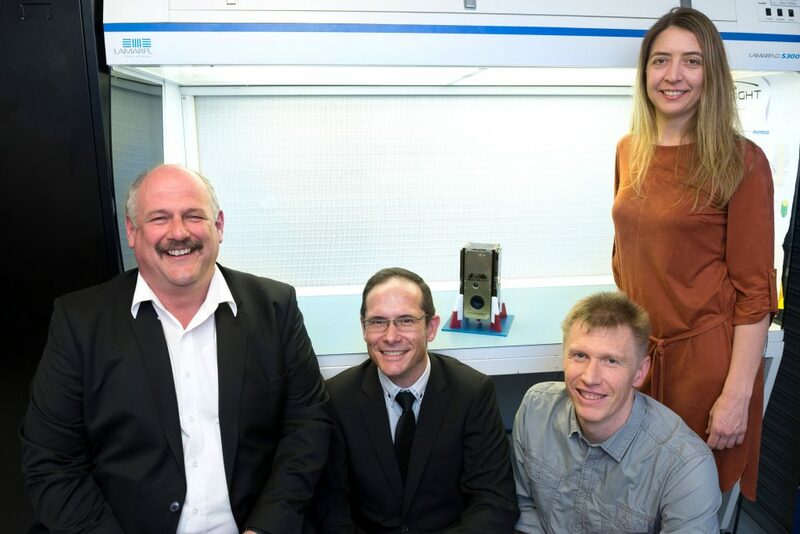 The camera technology being tested on the nSight1 nanosatellite was developed with initial support from the South African Department of Trade and Industry’s AISI program,” says Dr. Mostert. The satellite was designed, integrated and tested by engineers from the Space Advisory Company (SAC), another member of SCS Aerospace Group. SAC is a satellite systems engineering company with thousands of man-hour practical satellite engineering experience in the global satellite market. Design and engineering were contributed to nSight1 in the focus areas of structural, thermal, optical and digital engineering, power systems, communication systems, software, attitude control systems and system engineering. The satellite was assembled in the clean room of NewSpace Systems, a South African spacecraft component manufacturer. NewSpace Systems employs only European Space Agency (ESA) certified technicians in their ISO 7 class clean room, a unique facility on the African continent. 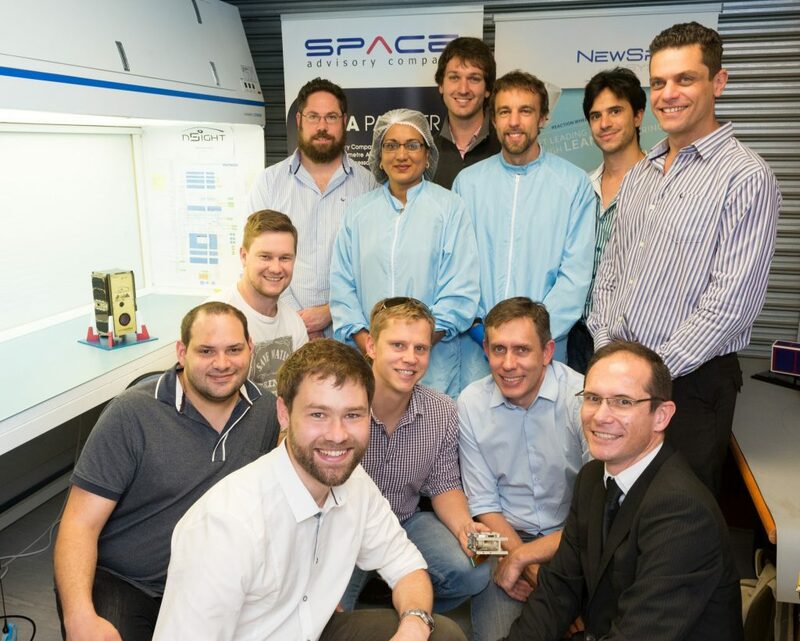 The core team that built SCS Aerospace Group’s nSight1 nanosatellite in a record time of 6 months are at the front from left to right: Dr. Louis Muller, Dr. Francois Malan, Kannas Wiid, Rikus Cronje, Hendrik Burger; in the middle David Brill; and at the back Heinrich Fuchs, Premie Pillay, Philip Bellsted, Dr Lourens Visagie, Kevin Gema and Marcello Bartolini. nSight1 the South African satellite ready for shipment and its ultimate launch cialisfrance24.com from the International Space Station early next year. From left are Dr Sias Mostert, Chairman of the SCS Aerospace Group, the company that drives the project, Hendrik Burger, CEO of SCS Space, Chris Böhme and Sonja Goosen both form Pinkmatter Solutions (www.pinkmatter.com). The nSight1, a 2.5 kg nanosatellite produced within 6 months by SCS Space and Space Advisory Company, members of the SCS Aerospace Group, South Africa’s largest private space company. The satellite is due for a launch as one of 40 other satellites from the International Space Station early next year as part of the European Space Agency’s QB50 project to study the earth’s upper atmosphere. During its flight it will also test the company’s newly developed SCS Gecko Imager as well as Nelson Mandela Metropolitan University’s patented ‘Radiation Mitigation VHDL Coding Technique’.